During the lesson, shade and shadow presentation is made to us and also we have learnt shadow drawing techniques then what is expected us to draw stairs and their shadow. 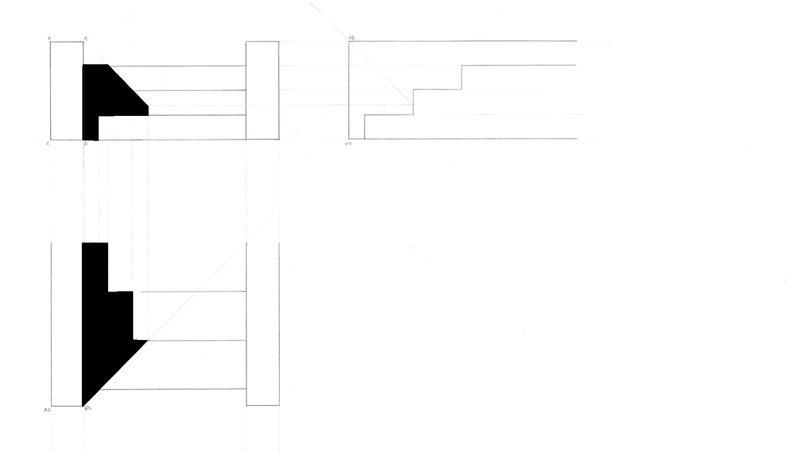 The given section, elevation and top view of stairs help us to draw the shadow of stairs. For the first assignment of ARCH 112, we were expected to produce an exploded-section drawing of the given object and cut through the object from indicated points to produce 4 section-isometric drawings. Section-isometric drawings should not be overlapped with each other. The scale of drawings is 1/2.